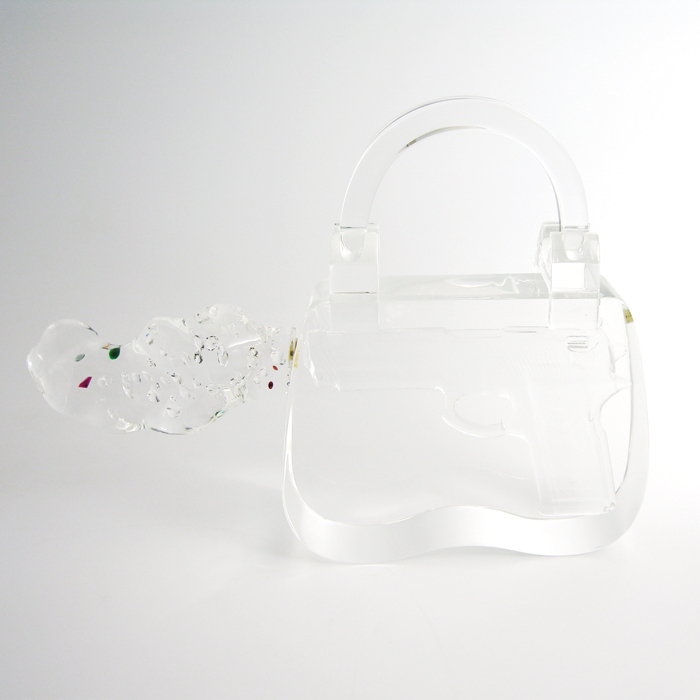 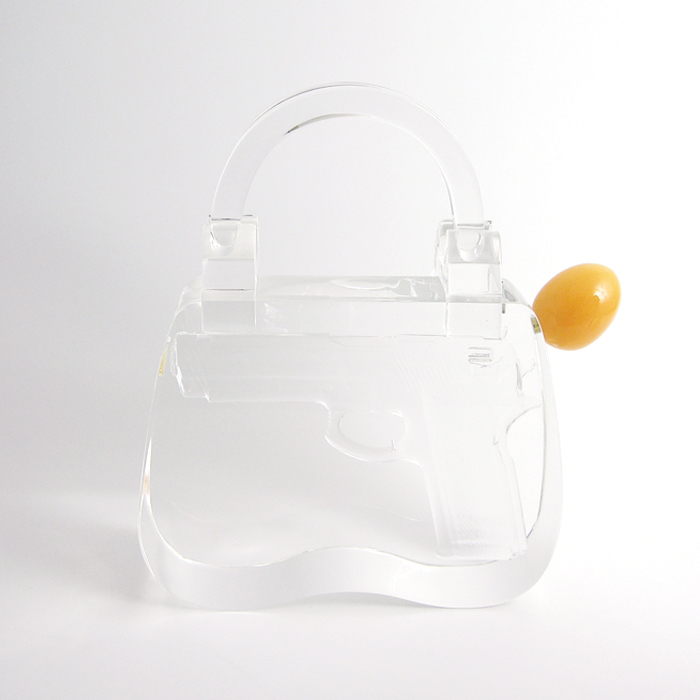 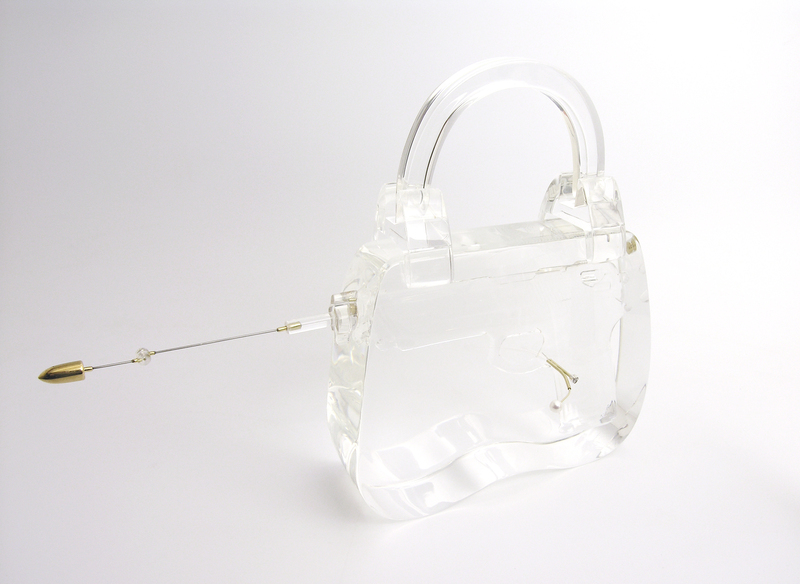 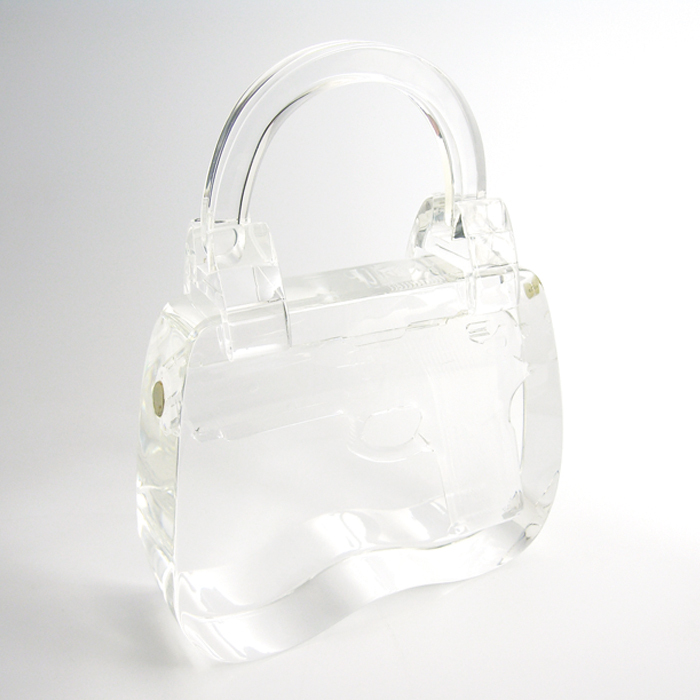 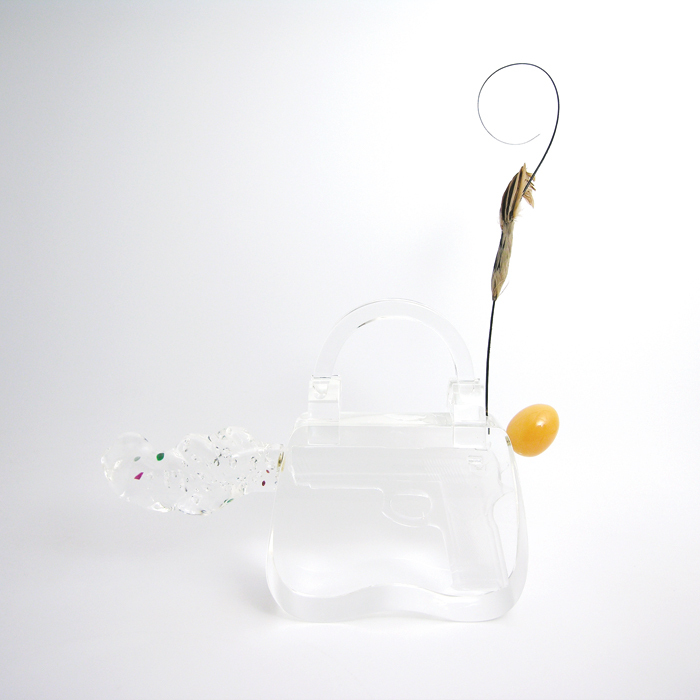 Bag / glass gun casted in acrylic. 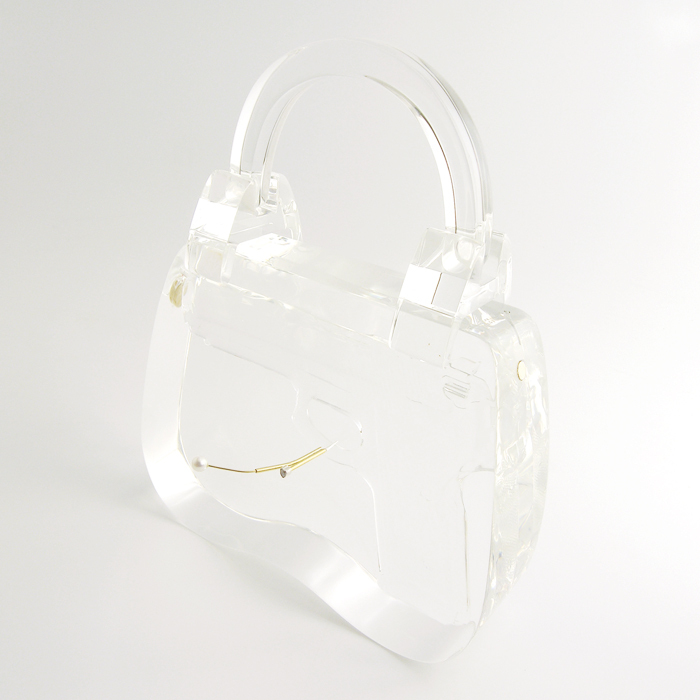 Devices & Desires: Acrylic cloud; several luxury stones as ruby, saphire, zirconia’s and 1 diamond. 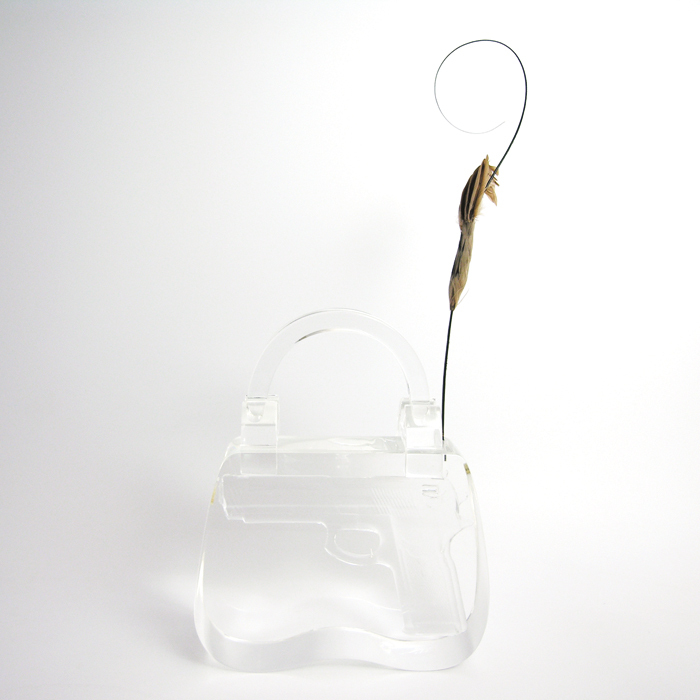 Antenna with bullet; stainless steel, magnet, brass, acrylic.